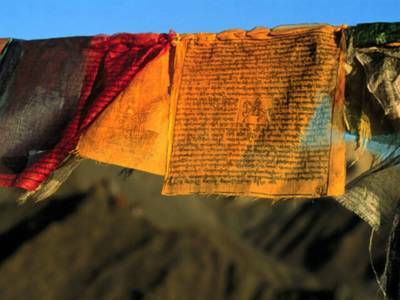 I recently saw a catalog selling Tibetan prayer flags, where it would weather and disintegrate over time. Who needs to hang what looks like laundry up permanently? Real laundry is beautiful and ever changing, especially when sheets fly up horizontally in the wind. This picture is courtesy of Webshots.